If you are looking for a quality, family-friendly dentist, North Rocks Dental Centre is the place for you. We are conveniently located opposite Westfield shopping centre at North Rocks. Emergency and late appointments are available to accommodate for individuals with busy work commitments. We provide bulk billing under the Child Benefit Scheme and is an accredited practice with QIP since December 2013! We are pleased to announce we can provide Nitrous Oxide Sedation and Sleep Apnoea appliances for our patients so please call us for further information. We offer no-gap check up and cleans. Your teeth are precious and regardless of your age, they are important for function, self-esteem and general well-being. We offer a range of treatments catered for your individual needs and finances. We pride ourselves in taking extra time during your initial consultation to check the health of your gums, soft tissue inside the mouth, occlusion and listen to the concerns you have with your teeth. Clean is recommended every 6 months to prevent gum disease and tooth decay. Radiographs may be indicated if the dentist suspects cavities in-between teeth or to check the root of teeth, especially if they have had trauma.At the initial consult we can provide an itemised treatment plan so you are aware of the cost involved for each procedure. We also have HICAPS, so treatment can be directly claimed through your health fund. We offer a range of tooth whitening products to meet individuals lifestyle. We use the latest Phillips ZOOM whitening products to get the best result for you. Please feel free to ask us the different options during your consultation and look out for special offers for whitening n our website. RCT replaces a tooth's damaged or infected pulp with a filling. It is usually indicated when you have symptoms of unprovoked, spontaneous pain, sensitivity to hot and cold food/drinks, pain when biting, loosening of the tooth, swelling of the gum near affected tooth, oozing of pus surrounding tooth and facial swelling. Our dentists will listen to your symptoms, examine your teeth and perform special investigations including taking x-rays to correctly diagnose the source of discomfort. We use rotary endodontic system to maximise the effficiency at each apointment. RCT usually takes several appointments to complete and you will get a quote at the initial appointment as prices vary depending on the tooth involved. We understand the importance of early diagnosis so please do not hesitate to describe the symptoms over the phone to our friendly staff so that we can schedule an appointment as soon as possible. Denture is a removable replacement for missing teeth and surrounding tissue. Complete dentures are used when all the teeth are missing, while partial dentures are used when some natural teeth remain. Partial dentures can be made with metal and acrylic or acrylic alone. Getting dentures involves several visits to see us as it involves taking impressions, bite records, trial wax insertions and final insertion and instructions. You may also need several appointments after you take your dentures home, to get the best fit for you. We advise a thorough check-up of your teeth and gums before the denture process is started to ensure the best long-term outcomes for you. Dental crowns are ideal for restoring damaged, heavily broken down or cracked teeth. Crowns or caps are placed over your existing tooth, covering the entire outside surface to preserve functionality. Crowns are indicated after root canal treatment to strengthen remaining tooth structure, is an implant has been placed or if a large portion of your tooth has been fractured and it cannot be built up using traditional restorative methods. They are also indicated for extensive cosmetic smile reconstruction and if you severely grind youhr teeth and the vertical height needs to be rebuilt. Dental bridges are used to replace one or more missing teeth. A bridge is secured by crowns attached to carefully prepared neighboring natural teeth. 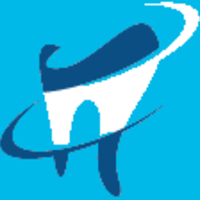 Dr. Amarasekara has over 32 years of experience in dentistry. He had a very successful private practice in Sri-Lanka before migrating to Australia with his family in 1992. He has extensive experience in both the public (former director of Hornsby Kurringai Area Dental Service) and in the private sector. He established North Rocks Dental Centre in 2007, with the intention of providing affordable, family friendly, pain-free dentistry for people of all ages. He has extensive experience in the field of oral surgery, restorative dentistry and prosthodontics. He is a member on the Australian Dental Association. When Daya is not practicing dentistry, he enjoys photography, riding motorbikes and travelling. Dr Jaiswal completed her undergraduate degree in Medical Science at University of Sydney and went on to study dentistry at Griffith University. Since graduation, Thilini has been working in a number of public and private clinics in NSW. She has a special interest in treating medically compromised patients and paediatric dentistry. When Thilini is not practicing dentistry, she enjoys spending time with her family, drawing, travelling and running. Leave us your details and we'll get in touch with you. We are a Bupa Member's First Provider and accept all major health funds. We also accept the Medicare Child Dental Benefit Scheme.